Taylor Wimpey is the second housebuilder this week to report an increase in activity as a result of the new Help to Buy scheme. The company – one of the UK’s largest home builders – reports that 300 customers have reserved homes since the Government-backed scheme was introduced at the beginning of April. 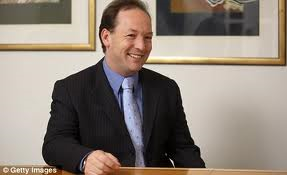 “We have made a strong start to 2013,” said chief executive Peter Redfern (pictured). “Against a background of positive sentiment towards the housing market, we have seen an increase in visitor levels and reservations, driven by improved consumer confidence and helped in recent weeks by the government’s Budget announcements. So far this year, Taylor Wimpey has achieved an average private net reservation rate of 0.67 sales per outlet each week compared with 0.62 over the equivalent period in 2012. The increased activity has largely been in the past eight weeks. This entry was posted in New homes update, News and tagged Help to Buy, home builders, Housebuilder, housing market. Bookmark the permalink.